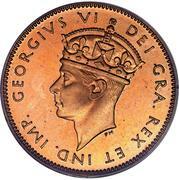 The portrait of crowned King George VI, facing left. Lettering: GEORGIVS VI DEI GRA. REX ET IND. IMP. 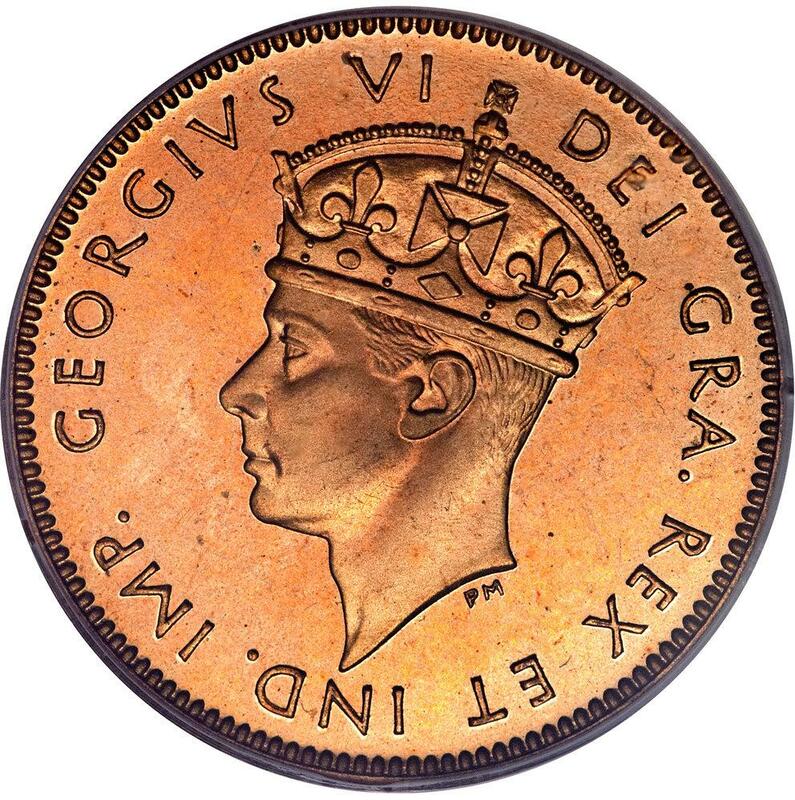 GEORGIVS VI DEI GRA. REX ET IND. IMP. 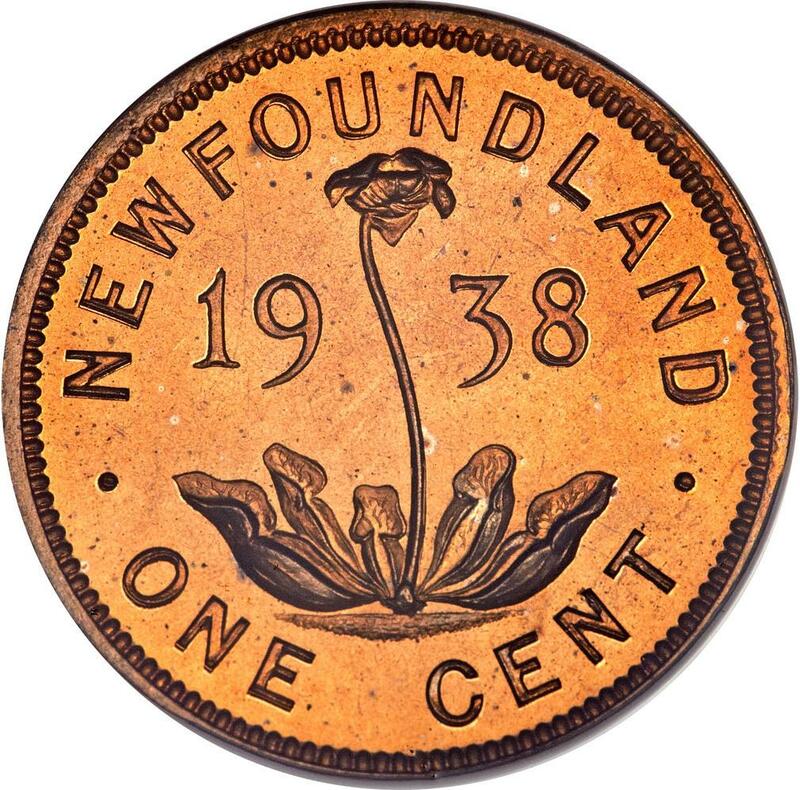 → "George VI, Dei Gratia Rex, Et Indiae Imperator"
→ "George VI, By the grace of God, King and Emperor of the Indies"
A purple pitcher plant (the island's emblematic insectivore plant) in the center and on either side the year of issue. 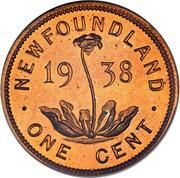 1940 & 1942 : These coins do not carry the Mint letter "C" (standing for Ottawa), it has been forgotten.